Flower Form: Features cup-shaped, sweetly fragrant (lemony), 9-12 petaled, waxy flowers (2-3" diameter). 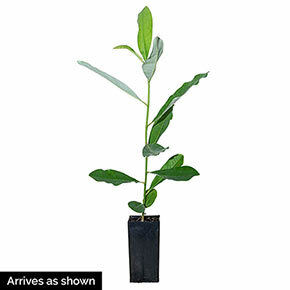 Foliage Type: Oblong-lanceolate shiny green foliage is silvery beneath. 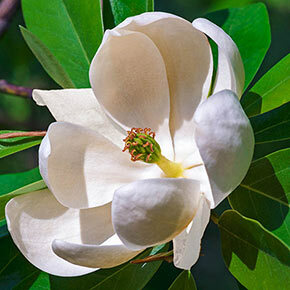 Soil Requirement: Prefers moist, rich, organic soils, but, unlike most other magnolias, tolerates wet, boggy soils. 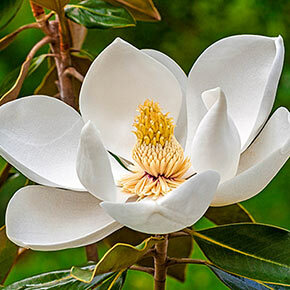 Additional Information: Cone-like fruits with bright red seeds mature in fall and can be showy.